All work and no play makes Jack a dull boy. Let’s face it, you’re not going to spend all your time at school in class or studying and as a result, it’s a good idea to have some gear for gaming. We’ll hit the usual suspects here. While not the most social choice, you can’t beat the price on running emulator software. Programs like Dolphin will work great on most Windows/Linux PCs, and there are multiple options available for most mobile phones. Finding ROMs is fairly simple, and if you have problems you can probably find someone on your floor that knows where to track some down. 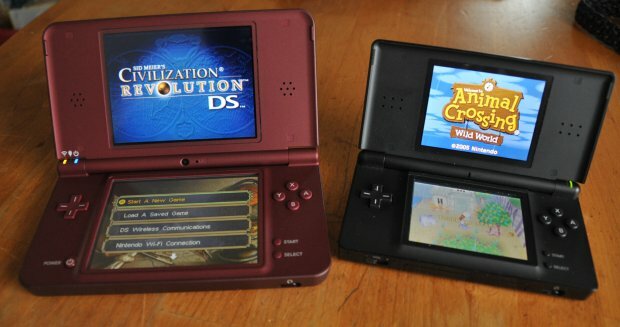 When it comes to portable gaming, there’s not too many choices. You can go with the the Nintendo DSi, (or DSiXL), the Sony PSP platform, the iPod Touch, or any of several indie Linux platforms. Realistically it comes down to the kind of games you like, and what else you plan on using your device for. Personally, I’ve gone with the iPod Touch and the Nintendo DSiXL. You’re going to have to make a choice. I’m not going to get into the PS3 vs. Xbox 360 vs. Wii war here, but let it suffice to say that all three platforms have their pluses and minuses. The PS3 obviously has not just gaming, but also Blu-ray going for it, while the Xbox 360 has XBLA and some outstanding gaming franchises making it a strong contender. The best thing to do (in my opinion) is see what your roommates/dorm-mates have, and then decide which would work best for you. The Xbox 360 has several bundles available, most recently the Halo:Reach special edition (and that’s the game you’re probably going to be playing on Xbox Live anyway). The Wii has those great party games and controllers, but is somewhat limited in the game selection. Again, it comes down to a matter of personal preference, so I’m not going to espouse one over the other. The most important thing to remember is to be careful choosing your games. Sure, having Rock Band in your dorm room sounds fun – right up to the point where you realize that there’s going to be at least 3 extra people in your room with you at all times. Let the guy down the hall be the one who has to deal with the noise, you’re going to need to sleep and study. Party games are great, particularly games like Super Smash Brothers or Mario Party. Just be careful spending those hard wheedled dollars on games instead of things like food and laundry detergent. At the end of the day, it boils down to this: don’t spend all your time playing and drop out. But there’s nothing wrong with putting a couple of bean bag chairs down and letting off some Steam from time to time.